My father took a lot of pictures. Photography was a hobby and, for a short while, part of his professional life while an engineer at Polaroid. I grew up loving the click-whoosh of an instant photo being taken, slip of murky proto-photo being ejected into waiting hands. Pulling to expand, then snapping flat the brushed metal and leather-paneled slab… just getting to handle the camera was almost as fun as staring at that inky square, waiting for the image to appear. Of course nowadays, I can snap a funny photo, upload it to Flickr or Twitter or MLKSHK, and quickly get comments (or “likes”) from my friends. Or I could go a step further and toss it up on a different kind of site, like Canvas, where my photo would serve as raw material for a cycle of remixes and captioning that ends only when all the lulz have been wrung out of that particular creative sponge. Now, some people might dismiss the purveyors of silly photo mashups as nothing more than juvenile mouth-breathers killing time between flamewars. And many people want nothing less than to have their personal photos subjected to (often ridiculous) manipulation by strangers. But somewhere between that static photo album and the photo-free-for-all is the space in which most of us probably play. We want to share our pictures, and solicit comments, approval, acknowledgment. We’re willing to release them out into the world to be viewed and experienced in many different ways. As part of sharing my content with you, I implicitly agree to your, at minimum, experiencing it in a different context than I might. After all, you might use the Flickr Android app to view a 320-pixel-wide version of my image, even though I might blanch at the thought of browsing my own photo library in anything less than full-screen mode using iPhoto on my 22″ widescreen monitor. But as soon as I release that image onto the web, that’s my problem, not yours. I’ve relinquished a certain degree of control. In other words, get comfortable with being uncomfortable. Accept there will always be a new device, a new technology, and entirely different way of experiencing content. And step two is, naturally, to carefully consider and prepare anything you might unleash onto the web accordingly. Perhaps unsurprisingly, most of the people behind Future Friendly are largely approaching this from having done a lot of work in the mobile space. Quite frankly, the explosion of mobile has been a much-needed kick in the pants to further dissemination and adoption of these broadly-applicable ideals. When mobile Internet usage is growing at such a fast pace that, by current estimations, its volume will exceed that of desktop Internet usage by 2015 (if not sooner), it becomes impossible to deny that web sites unfriendly to mobile use are simply unfriendly. Period. Things that may be a minor annoyance when experienced in a desktop browsing context — minimum browser window widths, plug-in downloads and long page-load times — often become intolerable in a mobile one. Attempts by designers and developers to shape the experience by elevating form over function only serve to drive users away. Sites like Media Queries strive to highlight some of these newer, adaptive designs that change to suit your screen size in the same way CSS Zen Garden did for site using web standards almost ten years ago. And there’s movement away from plug-ins towards web-native experiences, as evidenced both in an announcement by SlideShare this week that they were ditching Flash in favor of HTML5, and a report last month that more top web sites are now using web-native-technology-leveraging jQuery than Flash. And mobile web pioneers like Yiibu (Bryan Rieger and Stephanie Rieger) continue to not only evangelize for better context-appropriate web experiences overall, but share actionable insights in amazing presentations like this one about some of the ongoing issues with serving that right experience, at the right time, in the fastest possible way. In these ways, we’re still figuring out the mechanics of how to harness certain technologies and approaches, and when to discard others, all in the service of removing barriers to truly delightful experiences. 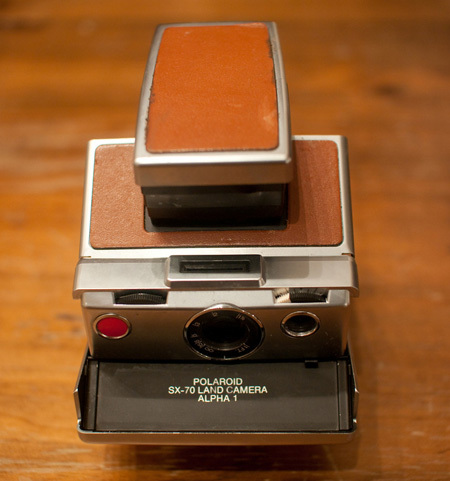 And it truly was a delight, using that Polaroid camera. I may not longer own it (and getting more film for it would be a challenge in and of itself), but that kind of connection is something that I’ll always seek out, in experiences both tangible and digital. Designers and developers who strive to be future friendly should end up being user friendly, which gives them that much more of a chance of wowing me. And that’s a challenge I’d love for more of us web professionals to take on.